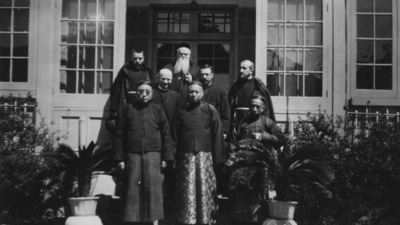 Lu Bohong (in eyeglasses) with a "Mr. Tsu" and others during a visit with the bishop. Shanghai. B/W Photo.